24kt. 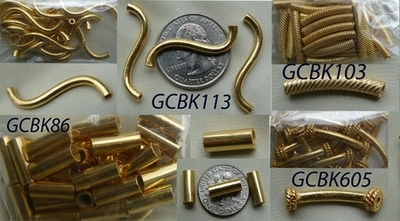 Gold tubes over copper twisted curve Quantity pack 3x30MM 22 pcs. 24kt. Gold tube over copper curved with decorated ends 2x21 mm 15 pcs.